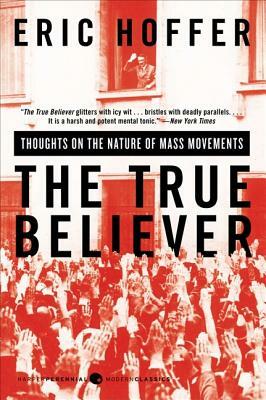 Hoffer dissects the socioeconomic and emotional conditions that spawn mass movements and forge fanatics. Focused, forceful, and free of judgement, this brilliant little book was written in the '50s but is essential reading for every era. Eric Hoffer (1902 -- 1983) was self-educated. He worked in restaurants, as a migrant fieldworker, and as a gold prospector. After Pearl Harbor, he worked as a longshoreman in San Francisco for twenty-five years. The author of more than ten books, including The Passionate State of Mind, The Ordeal of Change, and The Temper of Our Time, Eric Hoffer was awarded the Presidential Medal of Freedom in 1983.